Open tryouts will be held March 26th, 2019. We hold open tryouts for anyone interested. Below you will find our information regarding the tryout process and minimum qualifications for each age group. The number of open spaces varies from site to site and season to season. Due to these variables not everyone who attends the open tryout will be offered a space with RMSC. The following criteria are used to determine possible group placement; age, technique and endurance. Listed below are the minimum qualifications for each age group. 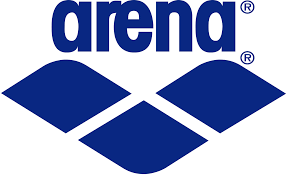 8&Unders - at a minimum, swim both freestyle, using good rhythmic breathing, and backstroke for a full length of the pool. 9-10yr olds - at a minimum, swim two lengths of freestyle, using good rhytmic breathing. Swim one full length of legal backstroke and in addition a working knowledge of breastroke and butterfly. 11-12yr olds - at a minimum, swim two lengths of the pool, legally, in 3 of the 4 competitive strokes (freestyle, backstroke, breastroke, butterfly). In addition a working knowledge of 4th competitive stroke. 13-18yr olds - at a minimum, swim two lengths of the pool, legally, in all 4 competitive strokes (freestyle, backstroke, breastroke, butterfly). Swimmers should have summer swim team or high school competitive experience. *All tryouts begin ontime. Late arrivals may not be allowed to participate. *Swimmers only need to attend one day of tryouts. *Group placement is specific to the site of the tryout. *A Parent or Legal Guardian must remain on-site at all times. *Please arrive a few minutes early to check-in. *Tryout decisions will be made by email no later than March 28th. For additional information such as practice times, program fees please click on the flyer below. If you are looking to transfer to RMSC from a different club please contact the site administrator. Pre-registration can be completed by going to Active Montgomery. Pre-registration BEGINS February 1oth and ENDS March 22nd. Please select the 5-digit course code that corresponds with your desired practice location and childs age range.